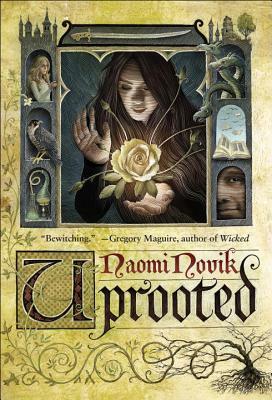 Uprooted (Hardcover) | Eagle Harbor Book Co.
Naomi Novik is the acclaimed author of His Majesty's Dragon, Throne of Jade, Black Powder War, Empire of Ivory, Victory of Eagles, Tongues of Serpents, Crucible of Gold, and Blood of Tyrants, the first eight volumes of the Temeraire series. She has been nominated for the Hugo Award and has won the John W. Campbell Award for Best New Writer, as well as the Locus Award for Best New Writer and the Compton Crook Award for Best First Novel. She is also the author of the graphic novel Will Supervillains Be on the Final? Fascinated with both history and legends, Novik is a first-generation American raised on Polish fairy tales and stories of Baba Yaga. Her own adventures include pillaging degrees in English literature and computer science from various ivory towers, designing computer games, and helping to build the Archive of Our Own for fanfiction and other fanworks. Novik is a co-founder of the Organization for Transformative Works. She lives in New York City with her husband, Charles Ardai, the founder of Hard Case Crime, and their daughter, Evidence, surrounded by an excessive number of purring computers.